Hope you all are doing well. 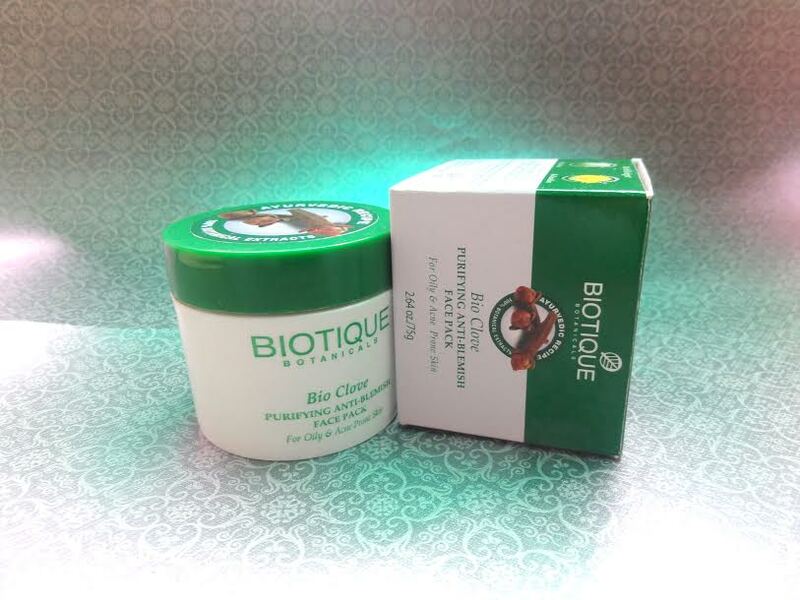 Today I am going to review Biotique Bio Clove purifying Anti Blemish Face Pack. I am currently obsessed with boutique products. They are good, natural, free from chemicals and healthy for your skin. I totally love them and they make products for all skin types. So girls, do give this brand and its products a shot. Now the product under review is really good for those people who have blemishes or acne marks. Let’s see how much it worked out for me. The packaging is quite simple. It comes in a white tub with a green color screw cap; it has an extra lid before the cap that prevents it from spilling. I don’t think the product would ever spill as it has very thick consistency. The tub comes in cardboard box, which holds all the details about the product like ingredients list, claims, price, quantity and other important things. The cap fixes tightly on place that makes it easy to carry around. The texture is very smooth and it glides beautifully on face and spreads evenly. The consistency is neither too thick not too runny. 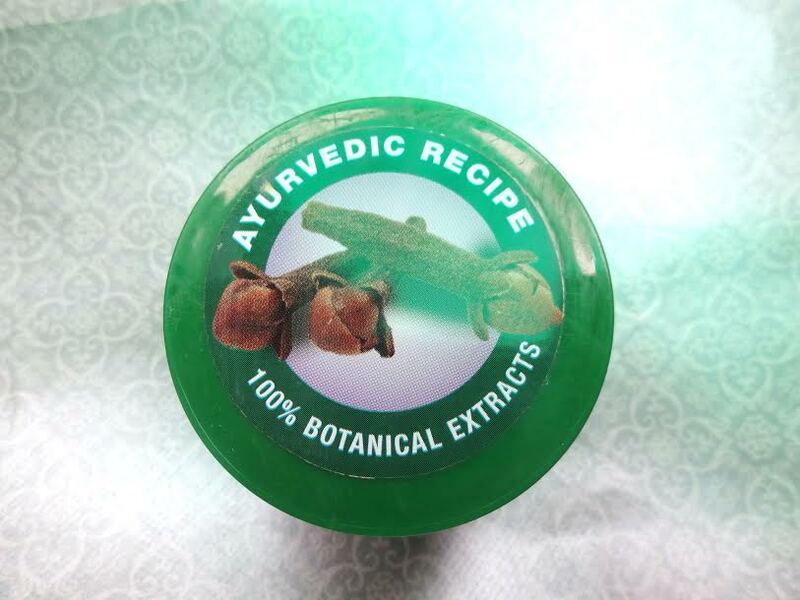 The product carries a strong clove aroma, which I personally love. It really opens up the mind and refreshes my mood. I am a big fan of essential oil fragrances. The fragrance can be an issue for people with sensitive noses. 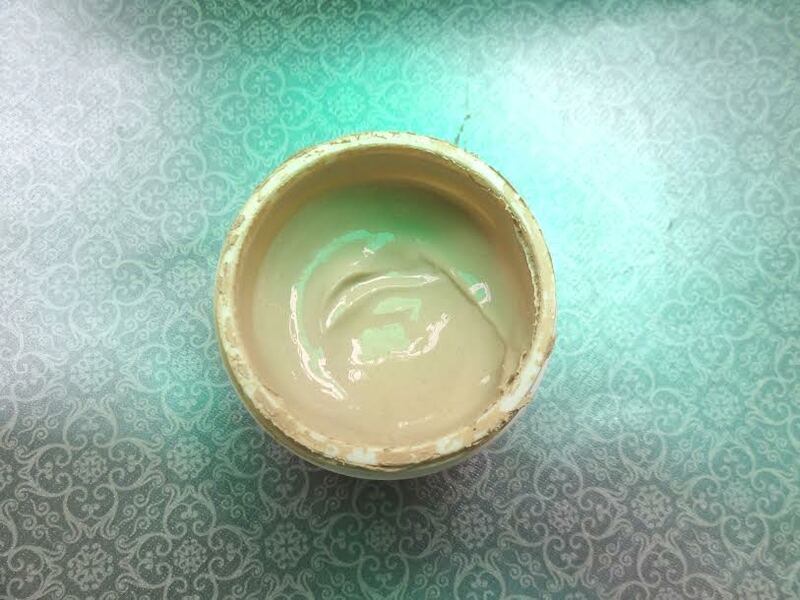 The color of the face pack is light brown like mud face pack. I am a die-hard fan of natural products and skin care. Because market is already full of makeup products that are chemical based, I generally prefer to use skin care products, which are herbal in nature as they don’t harm my skin in the long run. The main purpose for which I bought this face pack was to treat my pimples and acne marks and see that it really works on my blemishes or not. I have oily skin and I don’t know what happens to my face sometimes, it starts breaking out without any warning and don’t stop until my face is filled with at least 4-5 pimples. 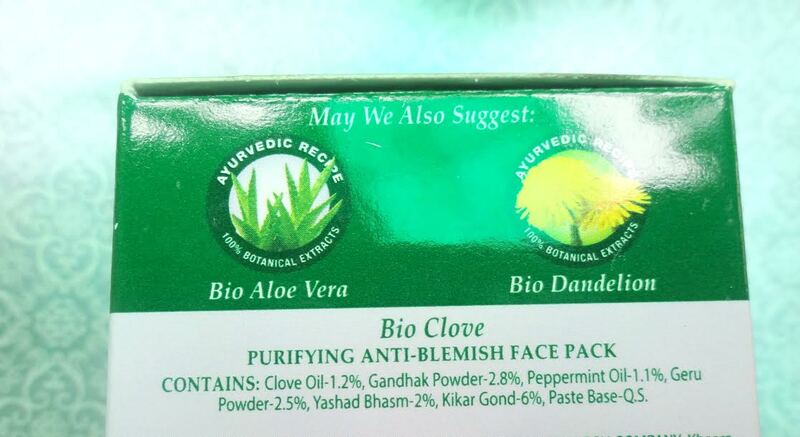 I got this face pack during monsoons, because the weather is usually quite humid during this period and it triggers acne and make my skin oily all the time. 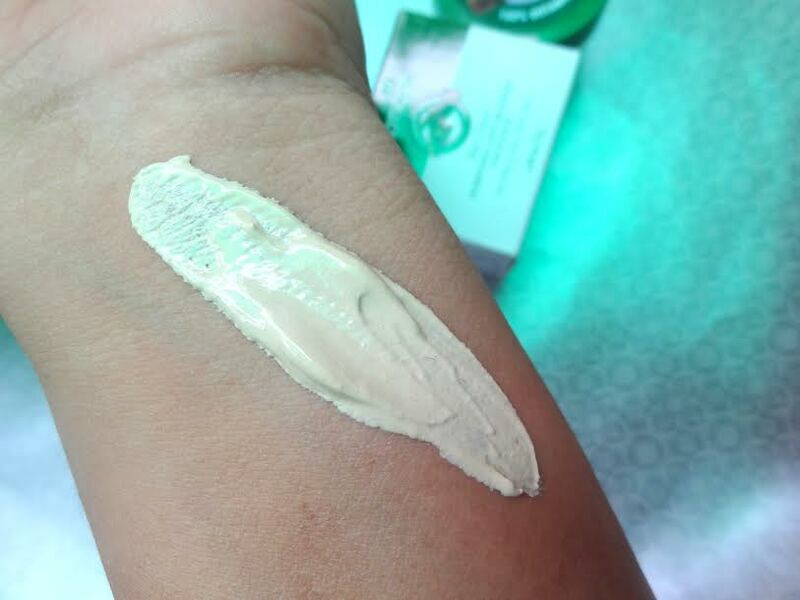 When applied it gives a tingling sensation that lasts for only a couple of minutes, I guess it happens due to the presence of clove and peppermint. The face pack glides beautifully on face and it takes about 20 to 25 minutes to dry off completely. After which, it comes off easily upon removing; this is another feature I like about this face pack as there are few mud face packs in the market that take ages to come out. I generally wash my face with cold or normal water. It works on acne, like it reduces the redness and size of pimple but it does not cure the pimple totally. It also prevents my skin from getting more pimples as it clears up my pores where all the bacteria get accumulated and takes the shape of acne after some time. It gives a soothing effect to face and makes it look glowing and soft. The face mask claims to reduce the blemishes but only when used regularly. I use this mask twice a week or frequently when I am facing acne problems that’s why I cannot say that it actually reduces the blemishes or not. But it does help in clearing the tan and brightening the face. 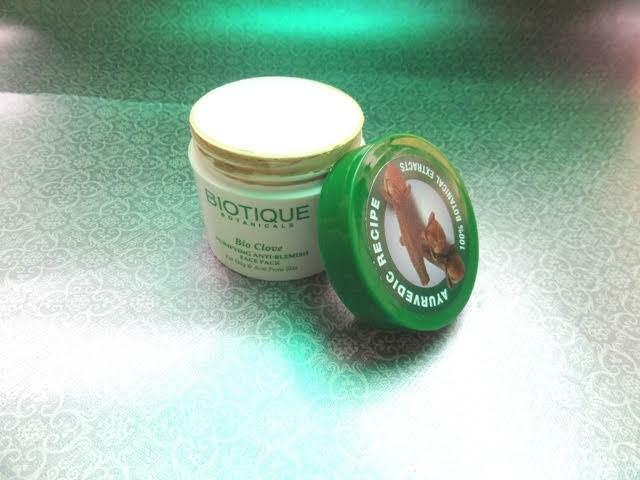 This mask controls the secretion of sebum from pores which I really like about it. It controls oil secretion all day which is like a blessing especially when you have to wear make up for whole day. It is very pocket-friendly product. It is free from those harsh chemicals .Yes, it takes some time to show actual results but it is better to have healthy skin with slow working natural products than to get quick results with chemicals and spoil the skin in the long run. The product is very reasonably priced and it is easily available offline and online both. Takes a long time to show any effect on blemishes. 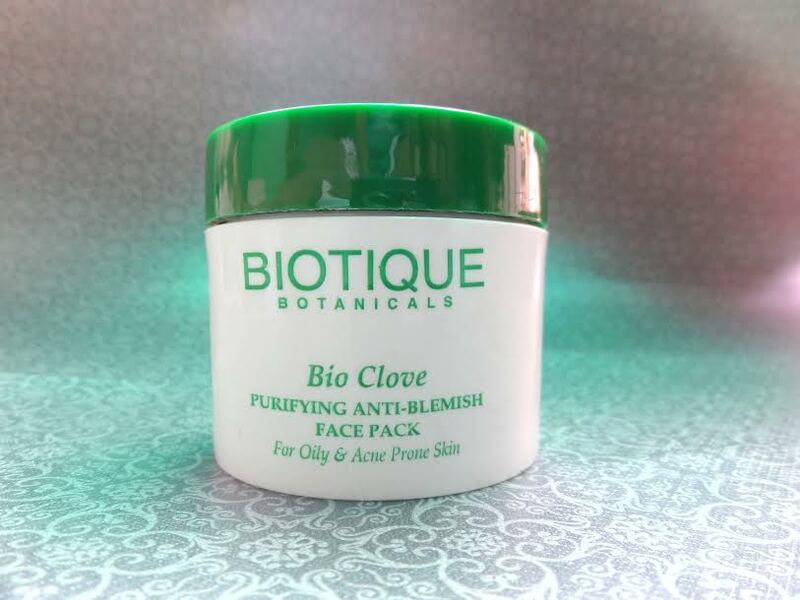 Overall, Biotique Bio Clove Purifying Anti Blemish Face Pack is a decent face pack for girls with oily and blemish-prone skin that is all natural and highly reasonably priced. Being an all natural product, it has minimal chances of harming the skin or causing any allergic reaction. It really worked out well for me and I definitely recommend this product to everyone who has oily skin, acne issues or facing blemish problem and don’t want to use those chemical based skin care products.